Husqvarna Wheeled Trimmer U675 – Powered by a hearty Briggs & Stratton engine, this trimmer on wheels drives a powerful punch to areas of the lawn too large for a hand-held trimmer and too tight for a mower. With a cutting width of 22 inches, large trim jobs get done in less time. The trim height adjusts easily from 1.6 to 3 inches and replacing the trimmer line takes only a few minutes. 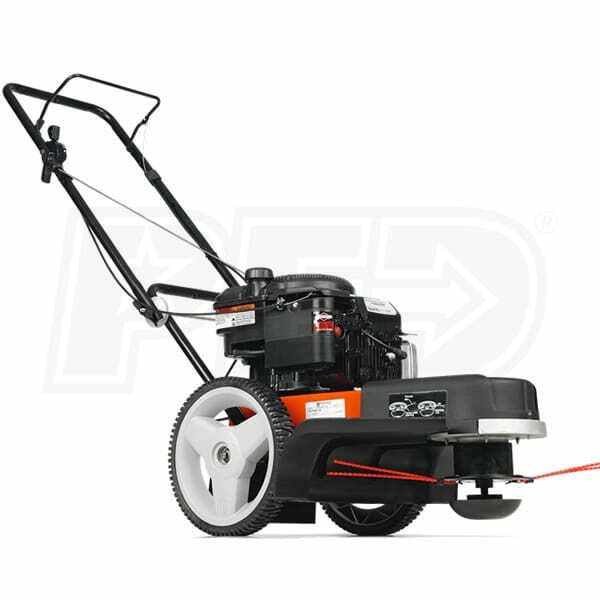 An all around great performer, the HU625HWT takes care of your tough trimming tasks while you enjoy the walk.